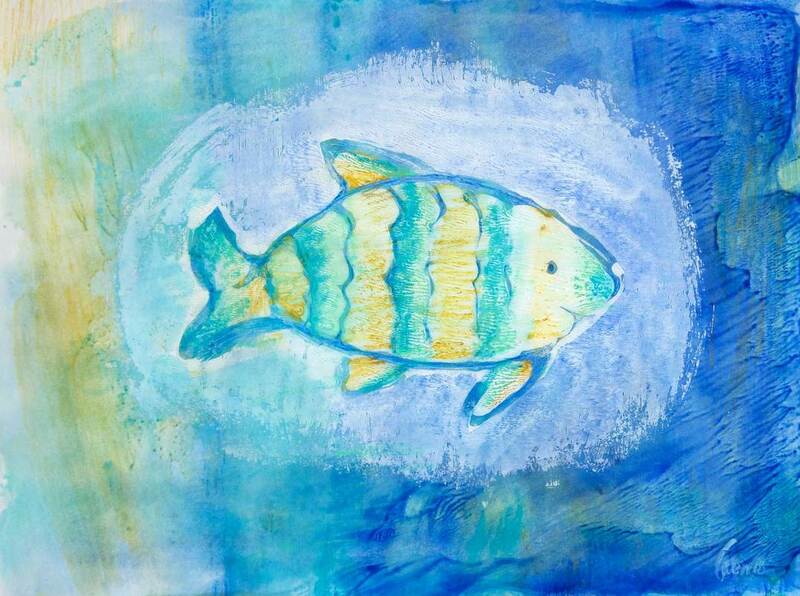 Titled "A Happy Fish" this original hand-painted acrylic monoprint/monotype is done in Golden artist acrylics in shades of blue, gold and white. Perfect for a child's room or any beach/nautical themed area of your home or work. Nature is always my fuel for my work and aquatic life is rather a mystery to me and I enjoy exploring it through my work. Fish, octopus, sharks, whales, star fish, they all are sentient beings with an active and vibrant interior life as well as what we see on the outside. For this fish in this painting, he or she is happy in the moment I have carefully captured them in.